Today we are featuring Katie and Chandler. When the groom sings his vows to his sweet bride, you know it’s going to be a day filled with lots of love + unique style. 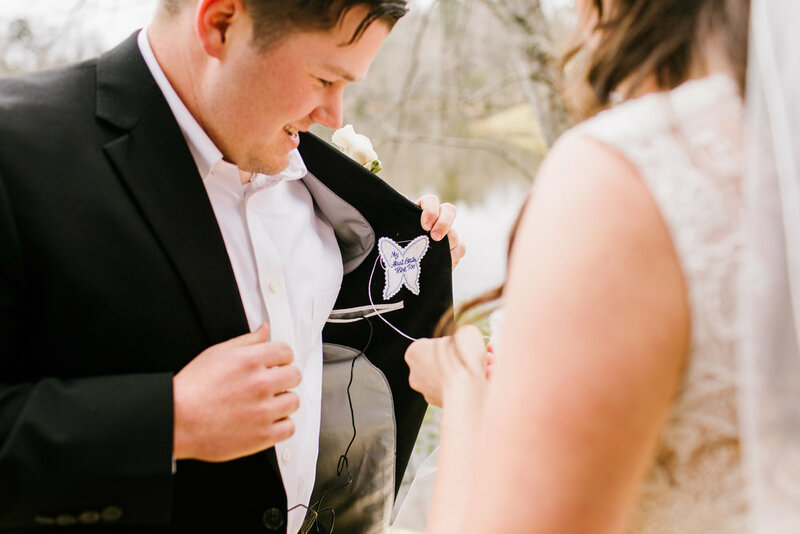 These two high school sweethearts had a wedding for the books. 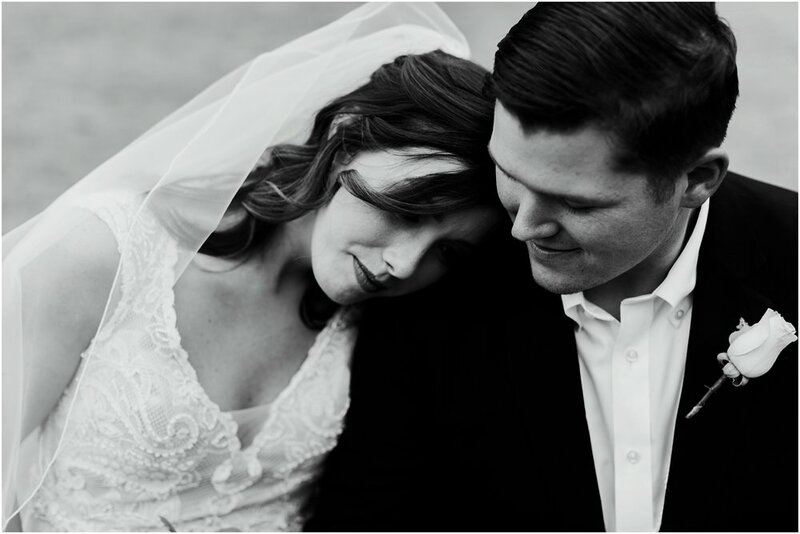 We love their love story and all the sentimental details that went into this special day. We’re pretty sure we would have loved to be guests at their reception,YALL they had a donut table, and they kept that dance floor full! Katie and Chandler's wedding radiated with love. We can't wait to share more of their story below. Katie tells us her side of the special day. Chandler and I met in middle school in 2006. The first day we saw one another was an open house. He was “the new guy” that transferred from the rival school across the city. My sister, a couple friends and I were walking down the hallway of Russell County Middle School when Chandler and his parents passed us. My sister, Laurie Jo immediately looked at me and said, “You’re going to marry that guy.” She had no idea who he was either. We were the greatest friends once we got to know one another through mutual friends at the lunch table and from there on, it was history. The best history. Chandler played baseball, I played softball. We love sports and competition. I remember going to his games and supporting him in the stands even when we were just friends and he did the same. We began dating in 2009 as sophomores in high school. The next to the locker in the hallway type of “Will you be my girlfriend?” type of gesture with a picture of us from homecoming in middle school. The ‘new guy,’ became my favorite guy very easily. We graduated together, we went off to college at Gulf Coast State College together, we parted ways and went to University in different states too. We’ve been there during the most trying times together and though not easy, our history is my utter favorite. Our careers carry us on the road much too often and Chandler finally decided it was time to ask the question I was much eagerly ready to hear. In our favorite spot, a corner table in Oliver Garden of Columbus, Georgia on July 16, 2016 he got down on one knee and asked me to marry him. In the most simple example of who we are – it was an easy answer of YES. During the planning process – we didn’t want to spend thousands and thousands of dollars on one day. Yes, your wedding is such an important day so splurge if you like but to us, it was most important to find the people in our circle and have them be apart of it in ways that were special to us. The arbor was hand made by my dad from cedar trees on the childhood property where I grew up. And seriously, it was so meaningful to us that my dad made it with his own hands and we vowed into a convening of marriage beneath it!! We chose to not have a coordinator/planner and went DIY mode with the help of Kayley, the MOH. We spent most of our budget on the venue (TOP NOTCH), videography and food. We were blessed to be chosen during an Instagram giveaway by Be Light Photography during 2016 and won our photography package for free!!! (Being able to enter giveaways was such a positive to having a longer engagement. Leading up to the wedding Chandler and I decided to spend as much time apart as we could until the rehearsal and wedding day. We just wanted to cherish the moments with our families and friends separately for the last few times before experiencing it as a married couple. It brought so much emotion to surface on the rehearsal night and wedding day. Some of the feelings and thoughts on the day of were wide spread. We were finally there! We met in 2006 and have been great friends since. We’ve been officially ‘dating’ since 2009, so the wedding day was long overdue and we were both so anxious and excited for it. It was just a lot of tears and emotions thinking “Wow, we are finally here. We both cherished our first look the most. We were on the border about whether or not to have one. 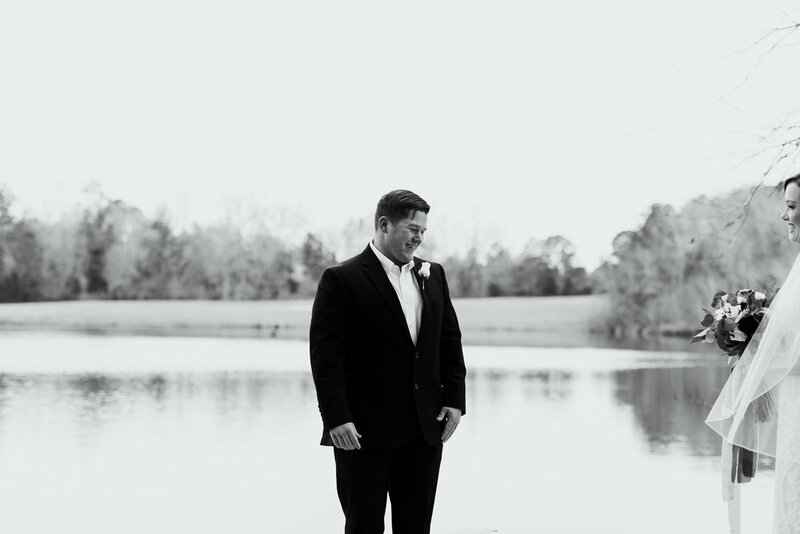 Our parents were eager for us to have the traditional first look down the aisle but something on our heart just wanted that brief moment of just the two of us during the day. Was it worth it? ABSOLUTELY. And no, it did not take any emotion from our ceremony. I will never forget the sentiment in that first look and the sigh of relief like wow, this is finally happening. Chandler’s Nana passed away during our senior year and it was something that really took a toll on him and us together. She was a huge part of our relationship when we first met. From spending time watching movies with her at her house to the traditional Olive Garden dates in the same spot and the baseball games on the front row of the backstop – she was in our story and played such a major role. I ordered a patch that has the song verse that Nana left us on a CD before she passed that said: “My Heart Beats There Too.” I gave it to Chandler during our first look. It was such a reminder that even when she isn’t here physically, she’s with us through this entire walk of life and marriage. Although that was our favorite moment – the reception was a close second. IT WAS A BLAST. To have our closest friends and family there to dance and just have an amazing time was so important to us. We had the music way too loud, an open bar that may have been limited and bridal parties that just made it everything it was. Our friends and family came in the best fashion and helped us celebrate this step into a covenant with the utmost excitement. Take in as much of the process as you can. Don’t get so worked up about things and enjoy every little detail you put into the day. It is so easy to get caught up in the false reality of wedding blogs and the expectations society puts on for the image of a “great” wedding. You won’t remember the flower arrangements, you’ll soon forget what color the ribbonry on the utensils are and the place setting is the last thing people are worried about or walking out of your wedding reception talking about. So pick something and run with that design. There are a lot of people from designers to coordinators who can make the process easier but also add tiny pressures to the process of planning. You two are the ones who know your style and character the best, what you want is beautiful and those key details you choose to have are going to be some of your most favorite details (SO YES, DO IT – even if some people think it’s odd. It’s totally YOU.) The most important part of your day is you are choosing to pursue a covenant of marriage with your best friend and your favorite date for LIFE. IT IS THE BEST FEELING!